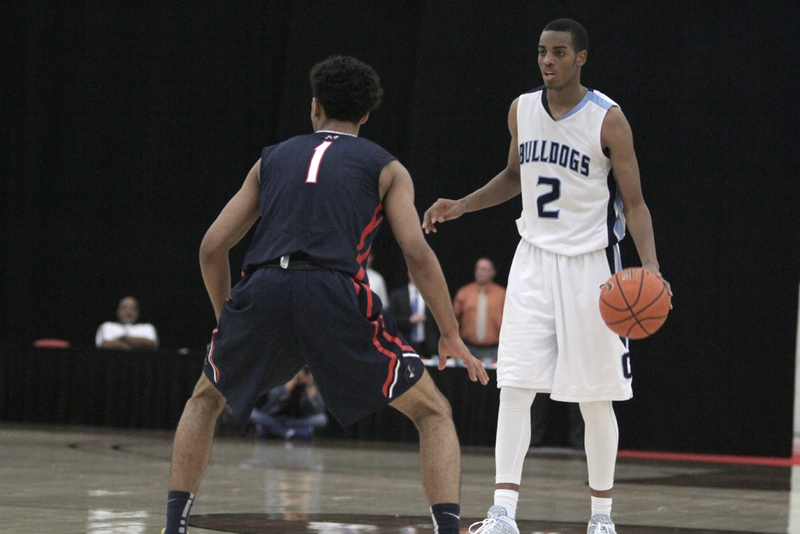 Those who arrived early before Saturday afternoon’s Bishop Gorman-Findlay Prep showdown at the South Point Hotel Arena got to watch two of the nation’s top guard prospects – Tyler Dorsey of Maranatha High in Pasadena and Troy Brown of Centennial – go head-to-head as part of the 2015 Pangos Dream Classic. The 6-foot-4 Dorsey, a one-time Arizona commit, is rated the nation’s No. 38 prospect for the Class of 2015 by ESPN.com while the 6-foot-6 Brown is rated No. 5 for the Class of 2017. Chalk this one up for Dorsey, who topped the 40-point mark for the seventh time in nine games, finishing with 49 points in a 71-59 victory. Dorsey connected on 13-of-23 field goals, including 5-of-10 3-pointers, and also sank 18-of-21 free throws. Brown meanwhile finished with 13 points on 5-of-16 shooting and grabbed nine rebounds. Dorsey, who at one time considered UNLV, said he is still considering six schools: Kansas, UConn, Cal, Colorado, Oregon and Arizona State. Check out Barry Wong’s VIDEO highlight package from the game below. Dorsey is No. 1 in black, Brown No. 2 in white.